One of the keys to improving customer response rates is to deliver relevant, contextual messages. Marketers need to leverage local contexts to create better experiences for customers. We tell you how you can make this formula work. Our friends at BIA/Kelsey report that local marketing spend continues to gain as a percentage of the total marketing mix, reaching $139 billion in 2015 (Local Media Report). Today more than ever, brands are in the hunt for ways to help their local affiliates (resellers, franchisees, dealers, etc.) create marketing campaigns that connect more effectively with customers. But injecting the local mind-set into the creative process can be difficult for marketing teams. Having watched some of the best minds in the business solve this creative riddle, we thought we’d offer a few suggestions. Ask your creative teams to come up with variations on your brand theme that emphasize specific locales —and then serve those locally oriented headlines and concepts to your local marketers specifically. Sometimes it's as easy as adding a place name in the headline—as in, "Making Breakfast Bearable for Brooklynites Since 1987". In other cases, you may want to work on entire content sets that emphasize place.How far you go in this direction will depend on the size of your local marketing network. 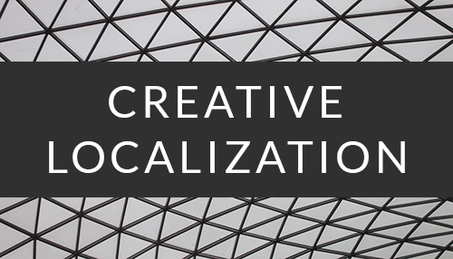 But even a modest effort at "pre-localizing" your creative will increase adoption and improve response. In an advertising world that's going increasingly native, it helps to keep your finger on the pulse of local events in your key markets – and to craft creative that stays in tune with the local zeitgeist. Look for ways to create content that picks up on local events. For instance, with the New York Mets heading toward a divisional championship for the first time in several years, our breakfast brand might serve up a concept for Brooklyn franchisees that plays on that success – say a gorgeous shot of a coffee mug with the headline "Playoffs? Full Steam Ahead" emblazoned on its side. With this approach local executions can be laid out systematically in brand-compliant layouts, while injecting local voice into that overarching frame. Even better, with today's local marketing enablement systems, your creative team can deliver concepts that are specifically appropriate for each locale. That means smarter marketing, and more efficient workflow at the same time. Ah, that's precisely the point. Once you've set up a local marketing system that automates mechanical tasks and frees you from the nuisance of one-off requests, you create time and space for your teams to get creative at the local level – or rather, at many local levels. This local focus takes a shift in mind-set for the creative teams, for sure. But you'll find your creative team is enthused precisely because they can try more creative experiments, at a pace that would have been impossible even a few years ago. You'll find that more of your work actually reaches the market, rather than ending up on the cutting room floor. Best of all, you'll hear from your local marketers that you actually understand their needs and are helping them build their business – one cash register ring at a time. To learn more about how your brand can tap into the local media landscape, Request a demo of CampaignDrive from Pica9 – the local marketing toolkit for multi-location brands.